Are your laps in the pool getting a little boring? Wish you could bring your music with you? You’re in luck! 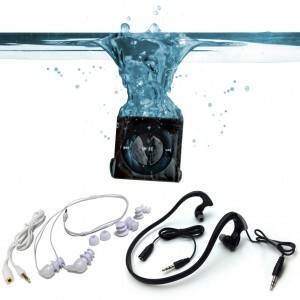 There are many waterproof music devices on the market. But which one is best for you? Here are a few questions and answers to consider when choosing your device. Q: Is the player harder to use if it’s waterproof? 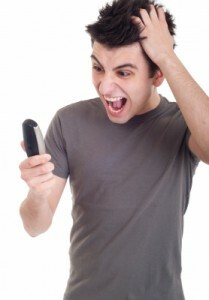 Some devices become harder to use due to the processes and materials used to waterproof them. For example, the buttons are either harder to press or can get stuck fast-forwarding a track. Lame! Underwater Audio uses a proprietary process that guarantees button fidelity after the waterproofing procedure. Q: What about my music? Will it play on this device? Apple’s iTunes is the standard for digital music. 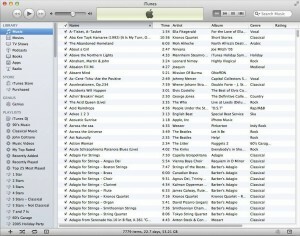 If you have a lot of iTunes music, you’ll want to be sure and use an Apple product. 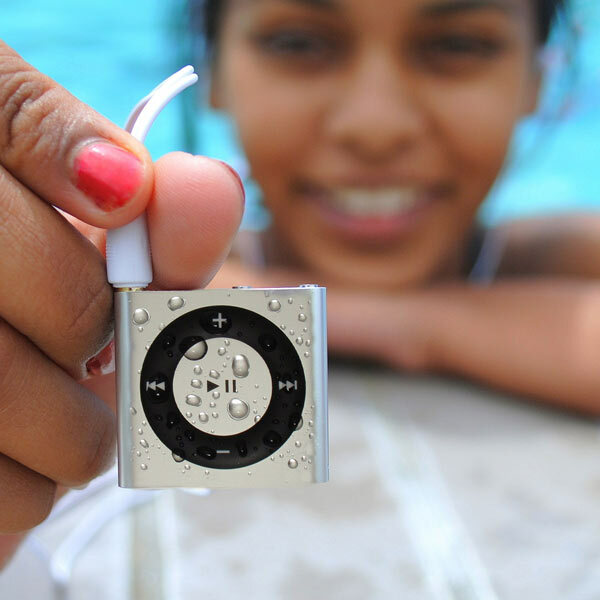 Check out the waterproofed iPod Shuffle by Underwater Audio. Small, easy to use and 100% compatible with your iTunes collection. Q: How easy is it to switch tracks while swimming? Underwater Audio’s iPod Shuffle is designed to be simple. With only five buttons to press on the device, advancing a track mid-stroke is easy and won’t affect your workout. Q: Will my headphones get tangled up? You asked, we listened. Swimbuds are Underwater Audio’s response to swimming’s headphone cord problem. The extra- short cords stay out of the way. And ergonomic earpieces fit your ear canal perfectly so these headphones stay put. Q: What if I want headphones for other wet activities? For other wet environments, be sure to look at Underwater Audio’s HydroHarmony wrap-around headphones. Use the short-cord length while swimming and then plug in the cord extension when going for a rainy run or other wet adventure. So, these are a few things to consider when taking the plunge (pun intended) into waterproof MP3 players. Did we miss a question you have? Let us know in the comments below and we’ll get on it!